How do I make my form responsive? I have tried everything, but I cannot get this form to fit in a mobile browser. It cuts off the weekdays on the preffered service day and it cuts off the "please note ...." text near the endo of the form. My website is fully responsive using the twitter bootstrap design, but the form is not. I have embeded as iframe. So far I have viewed the through 2 android phones and a Nexus7. The only device that needed the reponsive width was the Nexus7. The smaller devices already viewed the frm properly. I added this code to my form and it did not make it responsive. I am using boot strap but thus far this is the only thing on the page I have been unable to make responsive. 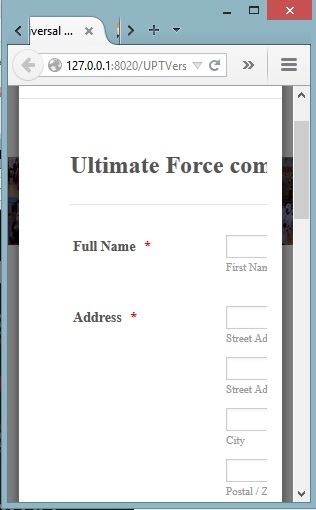 I have attached a screenshot of my form. Any help would be greatly appreciated. We will reply to you on that post as soon as we can.